Okay so here is the thing, I have multiple blogs. Quite a few in fact and I really should get rid of a few that I don't update that often. My Search for a Home has a sibling blog called "Project Gridless" which is about off the grid living, covering everything from off grid real estate to gardening to fishing to hunting to survivalism to various outdoor activities associated with off grid living. 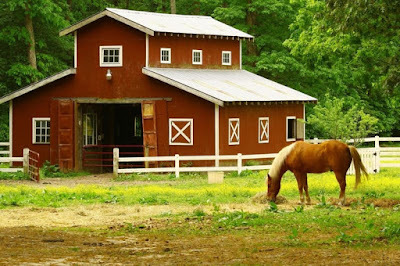 My dream home frankly would be to have an off grid horse farm where I could raise horses, go riding regularly and do lots of archery outdoors (and open a horse riding / equestrian archery school). So that is my dream home right there, and it would be amazing. Years ago I did my whole "Quest for a Condo" and it never really panned out. Now I am married, I have a son, and I have different priorities. Raising my son on a horse farm would be a dream come true. So it should probably come as no surprise to you the reader that Project Gridless, being nearer and dearer to my dreams, has also seen a lot more blog posts. A hundred more in fact. As of today, My Search for a Home has 185 posts (186 if you count this one I am writing right now). Project Gridless meanwhile has 285 posts. A testament to me spending a lot more time writing on the various topics that have made Project Gridless popular. How about popularity is Project Gridless? Sadly I am not quite sure. There is a glitch in the My Search for a Home blog statistics that says there was way more hits than there really was. So I need to use a different measuring stick. Instead the reason why I know Project Gridless is more popular is because of the Google advertising revenue, which has thus far been 5 times more profitable than its sibling website. So does this mean I will be getting rid of My Search for a Home ? Doubtful. Too many of the topics in it pertain to specific aspects of the real estate industry that I cannot simply export it and import it and make it part of Project Gridless. Many of the posts would end up being off topic. If I made a different blog that includes real estate as a topic, maybe then it would be better. But then it wouldn't be a niche topic any more and could end up being a website that is too broad a topic. There are other blogs I should probably get rid of. The rarely updated, seldom used blogs that could be exported and imported to a more popular blog that is on the same or similar topic. But I don't think this one is one of those. So for now I am keeping this one. And maybe someday "My Quest for a Condo" will transform into "My Quest for a Horse Farm". Whatever. It is fine by me. 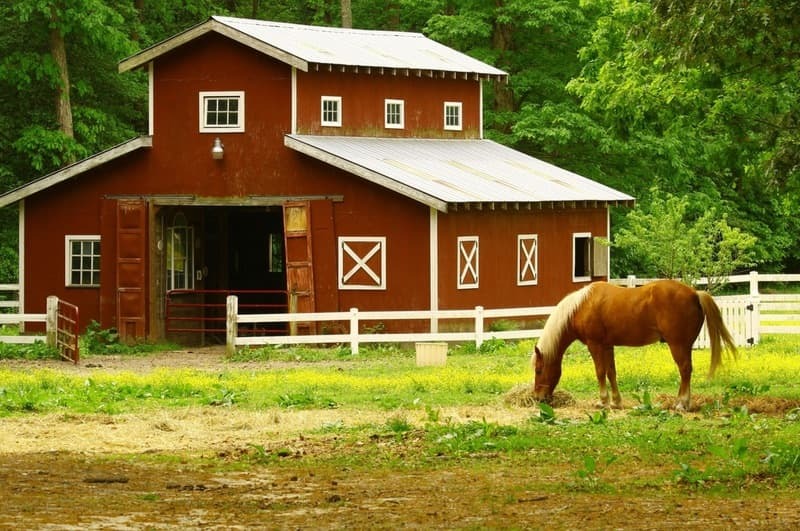 There is even a real estate website just for horse farms at horsefarmsontario.com . Pretty nice. Imagine you are selling your Toronto home for $1.1 million and suddenly the buyer who already agreed to buy your home changes their mind, despite various bits of paperwork already being signed. The reason? The home prices in Toronto have been dropping dramatically and some buyers have become wishy-washy on the whole buying idea when they see falling prices. This happened to one seller. They were in the process of selling their home for $1.1 million, and the buyer changed their mind. Months later when the seller finally did sell their home it was for little more than $800,000. So they lost $300,000 in that failed transaction. Or 37.5% of the value of the house. That is a huge drop. So they tried to recoup their losses by suing the buyer who had pulled out by hiring a real estate lawyer, but that failed too. Was their real estate lawyer just not good enough? Or did they just have a weak case? Whatever the situation, and it truly does vary from case to case, real estate lawyers in Toronto are suddenly in more demand as home sales continue to drop. Sales data from the Toronto Real Estate Board (TREB) shows the average home sold for $804,584 in the Greater Toronto Area in April 2018, a 12-per-cent drop from $918,184 in April last year, when the market hit a record peak before beginning a steep slide in May 2017. So that is the average. Not everyone experiences a 37.5% drop in value. Still a 12% drop is significant. Prices can also change dramatically from month to month, as can volume. Total number of sales in January, for example, were down 24% compared to December on a seasonally adjusted basis. Total sales fell 9% in February compared to January, and sales were down 1.4% in March compared to February, based on seasonally adjusted numbers. So taken together, volume of sales is down 34.4% just in the December to March period, despite seasonal adjustments. Volume is drying up as many homeowners have apparently decided low prices means this is a bad time to sell, so the only people selling are those people who really want to sell in a hurry. Which is probably why that one seller took only $800,000 when it was $1.1 million months earlier. Is that really the buyer's fault for getting cold feet? Or was the seller just in a hurry to sell? Clearly it was the latter. They could have simply refused to sell. Thus the seller might have had a better case if they had waited longer to sell and not accepted such a huge dip in the offer. A good real estate lawyer probably would have warned them against selling too soon. Below is a video by Toronto real estate lawyer Stephen Shub - this is not an endorsement of his legal practice, I am just posting his video as an example of what real estate lawyers do. In the video Shub describes some of the services that real estate lawyers provide. So who is the best real estate lawyer in Toronto? It is probably not Stephen Shub. There are probably hundreds of other real estate lawyers who are better than him. I have no idea. Just guessing. I just like his video, despite his somewhat awkward manner of talking to the camera and the bad editing. Googling "toronto real estate lawyer" won't tell you who is the best either. The people at the top of the search rankings are probably just the people who hired the best SEO experts to do their online advertising. Yelp? Filled with fake yelp reviews. Google Maps/Business? Also filled with fake reviews. Don't use the regular Google search. Use the Google News Search, find the name of a lawyer who has been in the news and recently won a case. Then search only that lawyer's name in Google News and see if there are other news articles talking about legal cases that lawyer has won. It may not be the way to find the "best lawyer in Toronto", but it should find you a lawyer who wins cases - including high profile cases. In the article Stephen Shub is not winning a case, he is just commenting on a condo development that disappointed buyers when the builder killed the development. Does that make him a good lawyer? Just commenting on a prospective case? Not really. Okay, so that last one I made up. But the first two were real. Tim Duggan appears in multiple news articles. I didn't bother to read them all. Bob Aaron appears in a whole bunch of news articles. A ridiculous amount. The news media loves mentioning him. So from that perspective Bob Aaron looks pretty good. He is at least getting a lot of media attention. Is he winning cases though? I don't know. I didn't bother to read anything more than the headlines. There was a LOT of news articles mentioning him though... hopefully they are mostly positive about his reputation. Do you know a Toronto real estate lawyer that you would recommend? Post their name in the comments. Please do NOT post links to their websites. I do not allow spammy links. Today I want to talk about several different things. Kyle MacDonald became noteworthy years ago for starting with a red paper clip and trading it for a pen, which he traded for bigger and better things until he eventually ended up owning a house in Canada. In a way this idea of trading things for something bigger and better is a bit like how the stock market works. You trade cash for stocks when they have a lower value, you sell it for a higher value, then you buy different stocks for a lower value which you then sell for a higher value... then maybe you buy gold at a time when gold prices are soaring, then you sell the gold and buy other stocks which are showing growth... and you repeat this process again and again until you have a multiplied the amount of money you started off with many times over. That is the theory at least. The problem is how do you guarantee the things you invest in go up in value? #2. Energy Trading, which involves trading electricity with other regions in order to provide electricity to customers at a cheaper rate. Energy trading can also relate to oil and natural gas, selling it or buying it. So for natural gas, commonly used in residential home heating, it again comes back to the idea of trying to save money and pass those savings unto the customers who are buying the natural gas. With oil it is going to refineries and later made in gasoline, diesel, petrochemicals, and even plastics. So that translates into different prices at the gas pumps and also effecting the petrochemical / plastics industries. Ontario then sell that surplus of electricity to New York State, Michigan, Quebec and other neighbouring regions. In the USA they use a similar system of trading electricity between various states, allowing each region to produce surplus electricity, but also to be able to sell their surplus electricity at a discount to neighbouring regions. This way no region suffers brownouts and ultimately the various regions can save money on the cost of electricity. See the video below in which Gustavo Luna from Bismarck, North Dakota explains how energy trading works. Energy Trading should not be confused with Commodities Trading - which focuses on buying oil for example at a lower price and selling it for a profit. With Energy Trading, the goal is to buy surplus electricity at a cheaper rate and then pass off those savings to consumers. So you are not making a profit, you are simply saving money for consumers. Or at least that is my understanding of it. Gustavo Luna would probably be disappointed by my simplistic explanation. 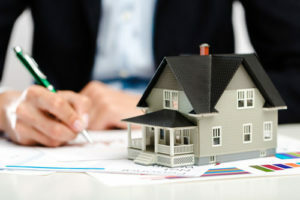 There are a number of ways people can invest in real estate. Buy a property for the investment, rent it out for years, sell it later for a profit when the real estate prices in the region skyrocket. Buy a property, renovate the property in ways that will boost its resale value, then sell it ASAP for a profit. At which point you buy another property, renovate it, and sell it again. Invest your money with a company that invests in real estate (office buildings, etc) and churns a profit from the rentals and later sales of properties. That company collects their percentage and you get a percentage while they do all the work, but you are the one taking the risk. Buy mortgage securities on the stock market from banks and sell them later for a profit. The trick to this is that if you are aware of what happened during the Financial Crisis of 2007-08, you could be buying AAA rated mortgage securities that are actually full of junk mortgages (eg. sub prime mortgages). The problem with the mortgage security industry is that they tend to bundle together junk mortgages and give them together an AAA rating, even though it is junk. It is truly a care of buyer beware. Well, that is where we get into the fun part. I think there is a future in "real estate trading and investing", wherein people could invest in say "Renovating and Flipping Properties" for example. Lets say you have 10 investors who invest $100,000 each in buying and renovating a house. They do none of the work as part of their investment pays for a contractor who renovated the house. Upon completion they then sell the house for 20% more than what they paid for the property, the taxes, the cost of renovations, etc. Those 10 investors then have $120,000 each, which they could then use to buy and renovate two smaller houses for $600,000 each, which they later sell after the renovations for $720,000 or more each... So each investor then has $144,000 or more. Now if they managed to do all of this is the space of 1 year, that is a 44% increase from their investment. A person could do this individually... and even do the renovation work themselves, and hope they follow the building code. But it actually makes more legal sense to have a contractor do it, have it all in writing in a contract, with liability insurance and everything in case anything goes wrong. But that would require the person who is funding this whole thing to come up with all the money by themselves. In contrast, if people only had to invest one tenth the needed amount, there is more security in numbers as a shared enterprise... and it allows the group to buy larger properties or multiple properties, thus diversifying their investment. Kyle MacDonald for example when he got the house eventually could have renovated himself - or hired a contractor - and later sold the larger house for a profit. Then he takes the money he made, buys a different house, renovates it, sells for a bigger profit... and keeps repeating. He in theory could have gone down that road, but is probably pretty amazed at what he managed to accomplish with just a red paper clip as is. Another way to do this "Read Estate Trading and Investing" idea is to buy up properties that make good rentals (properties that don't need a lot of maintenance costs are ideal), and then rent them out for a profit. Industrial properties are pretty good for this. So for example 10 people buy a warehouse which they then lease out to a company for storage, which allows them to make a tidy income every month on their investment. Individual investors could sell their one tenth share to other people if they later wish to do so, take whatever profit from that sale and then invest in a different property the same way. 10 family members finance the mortgage of an eleventh family member. This way each of the 10 family members only have to pay one tenth of the total cost of the home, which they then gain money back + interest each month until the mortgage is paid off. The benefit of this is that there is even more familial pressure on the 11th family member to pay off the mortgage... and failure to do so means the family forecloses, sells the property and collects their profits. Oddly enough something similar to this is already done by Mennonites when buying up farmland for their children. The whole community of Mennonites will pitch in, buy a property for a newlywed husband and wife, have a barn raising, renovate the house, and the property is later paid off. Following the same principle as #1, they could make perhaps a 44% increase in value in a single year by buying, renovating and selling properties in this manner. Those people could also sell or trade their share(s) to someone else and invest in other properties instead. They could decide whether they want to invest in small properties, large properties, residential, industrial, rental properties, and more. And they could do all of this via a website which manages it. Website? Why not also an app? A real estate investment and trading app. Move over Bitcoin, you are basically worthless and eventually people are going to realize that Bitcoin is worthless. Real estate however. There is a reason why it is called "Real Estate". It is tangible property. So just imagine this revolutionary way of investing in real estate. One part Kyle MacDonald's Red Paper Clip, one part a bit like energy trading or commodity trading as explained by Gustavo Luna - except this is the buying, selling and trading of real estate. That to me is an interesting and exciting app someone should make. There is my idea for an app someone should make. I should start a crowdfunding enterprise just to create the app, with the first people who invest getting both a share of the app and a share of the first property that we invest it. Now you might think, how does one make money off an app like that? Well, easy. You charge 0.1% fee off every sale transaction. So if someone invests $200 and later sells their share for $300, the app takes 30 cents. So 10 cents off each $100. It isn't a lot really, but if you get 50,000 people to invest in the first year, and they later sell off their shares for $250 or more then you are still looking at 25 cents x 50,000. If the app grows in popularity and millions of people start investing in real estate this way, that 10 cents per $100 isn't pocket change any more. It is millions. So what is wrong with this idea? Well, I am pretty sure there are some laws from the USA that would say that this kind of investing is illegal - because the government also wants their share. The USA would want to tax any transactions and profits happening within the USA. And it would target any real estate assets being bought, renovated and sold in the USA. So any kind of investment in the USA through the app would mean American citizens would be taxed on each transaction, and investing in the USA would be problematic. The app would make more sense in countries which allow this sort of investing and aren't so worried about taxing people who want to invest their money this way. The USA has similar problems with offshore gambling websites. People can buy virtual chips/etc overseas, gamble, possibly win (although most likely they lose it all), and then cash out their chips and never have to pay anything in taxes. Similarly, the USA has other problems with Bitcoin and other crypto-currencies. They are hard to track and it becomes unclear if people made a profit by buying and selling things using Bitcoin. So the app and company that runs it would need to be based in the Bahamas, Panama, Ireland or some similar tax haven. And this is where I hit a brick wall in terms of motivation to make this happen myself. It seems like too much work and I have other issues to deal with, rent, bills to pay and a baby to feed. So I am not saying "go ahead and steal this idea". Honestly, I feel like this is definitely my idea and I would be upset if someone stole it and made a profit off it. But I would be willing to sell my idea or become an intellectual property rights partner with someone else if they want to do the leg work on this idea. I currently cannot be bothered to do it all myself. One last idea, I swear this is the last one. Start a charity that deals with buying properties for mustang horse sanctuaries. People donate to buy the property, the property is renovated with fences to keep in the horses, and the mustangs are then transported to the property where they can roam freely. 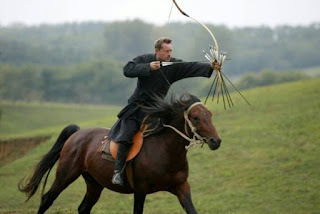 This would solve a problem in the American West where mustangs are a problem due to overpopulation and the government culling them because they get on to the properties of ranchers, ruining crops, etc. The people who donate get a voucher they can use on their income taxes, but really it is mostly about giving the mustangs a safe place where they roam without being killed by ranchers or by the government. Is Toronto's Condo Market Poised to Cool or Collapse? When Tanya Rumble and her partner Josh Kolic heard a new condo development was going up in their Junction neighbourhood, they thought it would be the ideal time and place to buy. After all, they had been renting in the neighbourhood for seven years and loved it. The developer, Castlepoint Numa, advertised an exciting new 10-storey condo building on Sterling Road in the Junction Triangle, called Museum FLTS. The building was going to be close to transit, a new park, a daycare and a new contemporary art museum it was also building. "We got really excited" Rumble explained. "I walked by the sales centre almost every day," she said, hoping to be one of the first people to put down a deposit the moment sales opened. In May of 2016, Rumble and Kolic signed an agreement to purchase a two bedroom, two bath unit in the 10-storey condo. But as the months dragged on they noticed the project appeared stalled. "Sales staff kept telling us, 'Nothing to be feared. The developer has a great reputation,'" she said. Last week, about 18 months after signing their purchase agreement, the couple got a letter from Castlepoint Numa, along with more than 100 other condo buyers. The company returned their deposits, explaining the condo project couldn't get construction financing. The developer also wrote, "we have not secured all of the development approvals or available permits" from the city of Toronto. "We were pretty gutted," Rumble said. "It was quite devastating." While the vast majority of condo projects proceed as planned in Toronto, CBC News has learned that more than a handful of proposed projects have failed this year alone, leaving hundreds if not thousands of buyers in limbo. Many now find themselves priced out of Toronto's red-hot condo market where prices have soared 20 per cent in the last year alone, according to the Toronto Real Estate Board. Castlepoint Numa declined to answer several specific questions about the cancelled project, but in an email, company president Alfredo Romano vowed the condo will get built eventually. It will "proceed but only once building permits are available. We can no longer rely on just a zoning bylaw to proceed to market. Only then will a project be 'safe' to go forward." he wrote. Romano and company officials would not say when that would be, or whether they expect to resell the units to new buyers at higher prices. The developer also declined to say whether it would offer the original buyers any discount or incentive once the project is eventually built. Janice Creighton and her partner, Mike, also bought a condo at Museum FLTS and feels she's now been priced out of the market. "It seems as though there's a risk that you could put your money into something, think that you're in the market," she said, "and they could just take it away from you and resell it for whatever it is when they open it back up again." Museum FLTS buyers aren't alone. Hundreds, if not thousands of other pre construction condo buyers have also been left in limbo. Earlier this year, a project adjacent to the Mimico GO station in Etobicoke was placed into receivership after the developer, Stanton Renaissance, failed to meet its financial obligations. The company owed millions to suppliers and contractors. More than 200 of the units in the proposed 27-storey tower had already been sold — some as far back as six years ago. Today, the site remains only 15 per cent complete. It was recently sold to the Vandyk group of companies. Court records show Vandyk doesn't have to honour the purchase agreements of the original buyers, and it won't. On the GO Mimico buyer Arash Borujerdi tells CBC News he still hasn't received his deposit back and fears he's now priced out of Toronto's housing market. "The process has really set me back in life in terms of becoming a homeowner, as you know the prices have gone up substantially since I purchased," he said. Numerous other condo projects in the city have also failed — many due to lack of financing, zoning approvals or other factors. It's happened in Scarborough, North Toronto, and downtown. Hundreds of people who bought proposed condos and townhomes from Urbancorp are still fighting the bankrupt developer in court to recoup some of their losses. Unlike condos, deposits of freehold townhomes aren't protected. Real estate lawyer Bob Aaron says it doesn't take much for a proposed condo to fail. A developer can simply decide they don't want the hassle of building if profits appear to be diminishing. "It's always a case of buyer beware," he said. "Sometimes purchasers think, 'I'm going to make so much money, I don't care about buyer beware, I'll take the risks.' Sometimes when the market gets a little tighter, people are a little more cautious." Coun. Josh Matlow tabled a motion that was passed at city hall back in 2013, demanding Ontario's Ministry of Government and Consumer Affairs prevent developers from advertising or selling condos that still haven't obtained the necessary permits and approvals. "Why should people believe all the community meetings, the votes at city council mean anything, if the developer is telling you there is already a predetermined outcome?" Matlow said. "'Something is coming soon,' they advertise, even though nothing has been voted on." Matlow says the province has yet to enact any regulations. He also says a variety of issues can derail a proposed development, leaving behind financial and other problems for buyers who waited years for nothing. As Creighton puts it, "I don't know that I could do pre-construction again knowing that this is the risk. I just kind of wish I had known beforehand that this was something that developers have done before." Rumble says she and her partner knew buying a pre-construction condo came with risks but "developers are in a position to sell units when they don't have the necessary permits in hand. They can sell us a dream that they don't know if they can materialize." Really what happened is that the developer didn't have enough from people wanting to buy condo units. Lack of people and sales equals lack of financing. So when it came to crucial stages like getting permits to actually start construction, the developer decided to skip the whole project entirely. Now this is just an example of one building, but I see it as evidence of something bigger. A cooling condo market. And at present that is all it is, potentially. As long as Toronto's economy remains strong, I don't currently expect any kind of collapse in condo prices. To get that we would need Toronto to get hit by a recession, in which case the recession could be a tipping point if the economy sours enough to hurt condo sales - at which point then Toronto will be hit by condo and possibly housing market collapse. But seeing as Toronto is not facing any kind of recession, and is not facing any recession in the foreseeable future, then a cooling of the condo market is all it could potentially be. What is the best time of year in Toronto to move into a new home? So my wife and I were discussing recently possibly moving - mostly because we want to get away from an a$$hole neighbour who hears noises/talking when they aren't there and seems to think he can boss us around. The problem however is that moving right now would be inconvenient, for a number of reasons. #1. We have a newborn baby. And exhausted. Sleep is valuable to us. #2. My wife is in law school and that keeps her very busy from September to May roughly. #3. It is currently July, and July and August are the hottest / most humid months of the year. I suppose we could hire movers to do all the work for us, however since neither of us are in the habit of hiring movers, doing it ourselves is our normal routine. Thus it makes sense just to wait. After all movers don't unpack and organize everything once you are settled in to your new home. Which got me thinking... What is the best time of year to move into a new home in Toronto? 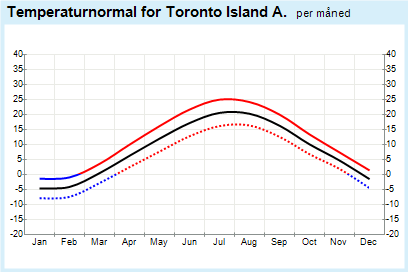 Well, lets start with the following graph, which specifically shows temperatures for Toronto Island (which is slightly cooler than the rest of the city thanks to the Lake Cooling Effect). In addition to your personal comfort, the temperature also plays a big role in trying to get friends to help you move. 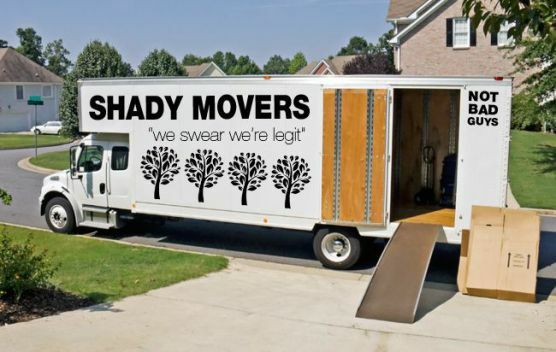 Your list of friends willing to show up and help you move will likely be cut short if it super hot or super cold outside. The graph shows July and August are the hottest months of the year, so lets scratch those off the list right away as being "too hot" to do strenuous exercise like moving. 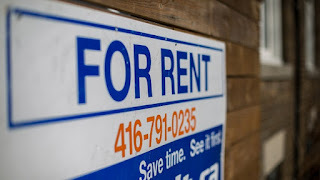 Another problem with July and August is that is the time of year college/university students move in, which means you might also be competing with them for rental space if you are in the apartment market. The chart also shows that December, January, February and March are the coldest times of the year, with the average temperature (the black line) being below 0 most of that time. So lets remove them from the list as well. Another problem with December is that many people are busy with Christmas / various holidays, and thus that makes a bad time of year to move regardless of temperature. Imagine moving in on January 1st, New Years Day... Don't expect any help from friends with the moving process, they are probably all sleeping off a hangover, sleeping in, whatever. It might surprise you that in terms of volume it usually rains more in August than any other month of the year, but that volume is on average during 9 days of the month. April and May however have on average 12 rainy days for each of those months. Thus June arguably ends up being the best time of year if you want to avoid the rain. August is good too, but way too hot. June is still pretty warm however so some people might want to avoid that month. This makes you realize why so many people get married in June, because they want to avoid rain on their wedding day and have a stereotypical warm and sunny "June Wedding". September and October are not bad either for rain, and the temperatures are certainly more comfortably average. If you have children and they are in school, moving to a new school could make September a bad time to move - not so bad if your new home is still in the same neighbourhood and your kids will still be going to the same school. November starts getting both colder and rainier, so lets knock that off the list right now. October is arguably the best time of year to move into a new home. September is 2nd best. June is 3rd best. This varies for many people, but lets list a few other factors people might also have to worry about. Work obligations keeping you busy. Difficulty booking off vacation time to pack everything / move. You already planned a vacation during that time period and don't want to cancel. Bad time of the year due to miscellaneous personal or financial reason. Carry their valuables / breakables. * In recent years there have been horror stories of movers who held people's personal belongings hostage and demanded a higher amount of money - effectively extorting the client. eg. http://www.cbc.ca/news/canada/toronto/man-charged-after-toronto-moving-company-allegedly-defrauded-extorted-customers-1.4139985 is just one news story about people getting ripped off by crooked moving companies. Ever since 1991 there has been a loophole that allowed the owners to set and change rents as they saw fit, which meant they could gouge renters for more money if they wanted to. Rent control still applied to buildings that were built prior to 1991, guaranteeing that rentals could not be increased annually by any amount above and beyond the rate of inflation - and was capped at 2.5% even if the rate of inflation was more than that. But new buildings that were built in 1991 or after, did not have rent control. The loophole was created in 1991 in order to encourage property developers to build more rental units. Rent control was considered to be cost prohibitive, ie. not profitable enough. Building rental units made no sense to someone meaning to make a profit, as it would take significant time to finally get back their investment in building the property. So to remedy the problem, the province got rid of rent control for all new buildings that were built after 1991. Unfortunately the industry took advantage of the situation, built lots of condos instead, and then rented them out. And then more recently, renters would see their monthly rent skyrocket to double to whatever they were paying before. eg. Valerie Bruce, a renter living in Liberty Village, recently received a notice saying her rent would double from $1,600 to $3,200, so she decided to move. And she was not alone. Many other Torontonians saw their rent double within the last year, as they are quite literally being squeezed out of the market. Part of the current problem is that vacancies right now are really low. It is currently 1%, the lowest vacancy rate Toronto has seen in 7 years - not since 2010 has it been this low. And when availability is low, prices tend to go up because the demand is high. However doubling the rent on people who already are living in a particular place, well that is just ridiculous. It is that kind of flagrant disregard by landlords that has basically given them a bad rep and caused the provincial government to step in and put a stop to this nonsense - see the Ontario Fair Housing Plan below. So it is the fault of landlords for getting greedy in the first place. It is also the fault of real estate developers for taking advantage of the 1991 loophole to build condos between 1991 and 2017, when they were supposed to be building affordable apartment buildings. The purpose of that 1991 loophole was so they would build more affordable apartments, but they didn't build more apartments, they built condos instead - some of which ended up being used for high priced apartments by investors. There was nothing affordable about it at all. Expanding rent control to all units, including those built after 1991. Annual rent increases for existing tenants can be no higher than the rate of inflation. Rent increases will be capped at 2.5 per cent, even if the rate of inflation is higher. A standard lease will be developed in multiple languages. Tenants will be adequately compensated if asked to vacate for "landlord use." Change becomes effective as of April 20, regardless of when legislation is passed. That last part means landlords will not be able to raise rent by more than 1.5 per cent this year — the annual provincial rent increase guideline for 2017, which was determined based on the inflation rate in 2016. However, a landlord can raise rent by any amount in between tenant residencies. For example, if one tenant paying $1,600/month chooses to move out of their unit, the landlord can charge the incoming tenant $2,000/month or more. It is also theoretically possible for renters to get in a bidding war if multiple people end up vying for the same unit at the same time. 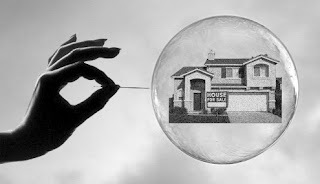 Bank of Montreal economist Doug Porter says Toronto is the midst of a housing bubble, and is making comparisons to the housing bubble of the 1980s - which ended in a collapse and a recession. "There’s nothing tentative about the red-hot housing market in Toronto and neighbouring areas," says Porter, in a note out Monday. Porter is referring to the 22 per cent price appreciation of existing homes over last year's prices. He is now predicting a 19 per cent increase in condo prices in the Greater Toronto Area (during 2017) and says to watch for double-digit gains in the Greater Golden Horseshoe. "An apparent influx of foreign wealth, coupled with record-high demand and a shortage of detached properties, are driving the frothiest price increases since the late 1980s. Prices are even accelerating in segments and areas without shortages." "Admittedly, condo supplies in the GTA are down sharply from prior elevated levels, but a record number of units are now under construction…so why the froth?" asks Porter. Porter also notes that Montreal and Ottawa have entered a lengthy period of stagnation, that Alberta is stabilizing. And that there should be "some further softening in Vancouver’s prices", compared to last years 33% increase in Vancouver prices. The national average price for homes sold in January 2017 was $470,253, up only 0.2 per cent from a year ago and carried mostly by sales in Toronto and Vancouver. However if you ignore Greater Toronto and Greater Vancouver, the average price of a home in the country is reduced by almost $120,000 to $351,998. Counting adjustments for inflation and the lack of increases in housing prices across most of Canada, the cost of homes across most of Canada is actually going down comparatively. The GTA and GVA are inflating the national average and skewing the results. Which is similar to what happened in the 1980s. The average prices across Canada stagnated and went down first, while Toronto and various cities experienced a real estate bubble. And then the bubble burst, economic chaos and a recession resulted. The stagnation across Canada was basically the canary in the coalmine, warning of the impending disaster. 2010s Vs the 1980s, What is Different? Toronto and Vancouver's real estate bubbles are now mostly driven by foreign investors. That is what is driving the prices to ridiculous heights. That means that the rest of the country could go into a recession and as long as Toronto/Vancouver's prices continue to balloon upwards, the investors will just keep investing. In British Columbia, Vancouver is trying to curb that by introducing a 15% land transfer tax on foreign investors. But then Toronto Mayor John Tory announced recently that he would be increasing property taxes in Toronto by 2%. Don't increase the property taxes for regular Torontonians. Increase the property taxes for foreign owners of Toronto residential real estate instead. By say... 22%. Or more. Perhaps 27%. You will note that this would only effect residential investors. It would still allow for foreign investors in commercial and industrial real estate, which means they are investing in Canada's economy. If the prices of homes in Toronto are going up by 22%, increase the property taxes on foreign owners of by a like amount (plus maybe an extra 5% to make it 27%). So if prices in 2017 go up 19%, the property tax for foreign owners should be 19 to 24% higher than people who actually live here. The thing about property taxes is that it is every year. The land transfer tax is only an one time thing. Now property taxes are not a huge amount, but those property taxes would mean the mayor wouldn't need to raise taxes on Torontonians (people who might actually vote for him) and only harms non-voters who don't even live in Toronto. Over time the property taxes on foreign owners could be increase gradually until Toronto's housing market stabilizes to a more reasonable and normal growth. Which means Toronto ends up with a stable and sustainable housing market that can withstand global and local recessions - instead of an ever ballooning market that will burst the moment the local economy hits a recession. Having safe electrical equipment and wiring around your home is not something you want to take lightly. If things aren’t right, you could not only be at risk for a personal injury from electrical contact, but you could be risking a fire as well. If there are electrical problems that are causing fire or shock hazards, you will want to know about them so they can be fixed before you find out the hard way that you had a problem. If you are not absolutely certain that everything in your home is up to code, you might want to schedule an electrical inspection Jacksonville. Companies like Mister Sparky have qualified electricians who can come and check out your entire electrical system. If any problems are identified, you will also have a source for getting things fixed. Depending on what is deficient after the inspection, you may just need simple things done like installing some new outlets. In other cases, the job may be more extensive. Whatever the problem is, having knowledgeable electricians at your disposal will enable you to get everything in safe working order and up to code. The electrical code is rather lengthy and can be complicated for people who are not trained in the electrical field. As a result, doing an evaluation is not something you should attempt to do yourself, unless you are an electrician. There may be times when you need to upgrade your electrical panel. If you live in an older home and your panel has never been upgraded, it is highly likely that it needs to be. Most older homes were built when people did not rely on electricity to the extent they do today. To illustrate, just take a look around the rooms in your home and identify the items that you use on a daily basis that run with electricity. Then think about how many of those items did not exist a generation or two ago. If you have the same electrical panel that was in place then, there should be little doubt that you need an upgrade. Another time when your panel may need to be upgraded is when you are making additions like building another room. You clearly do not want to overload your existing system. An upgrade is the smartest and safest thing you can do. Because you can’t actually see electricity, it can be a bit difficult for untrained people to understand. For this reason, you should have your home evaluated by a professional so you can have the peace of mind in knowing that everything is okay.